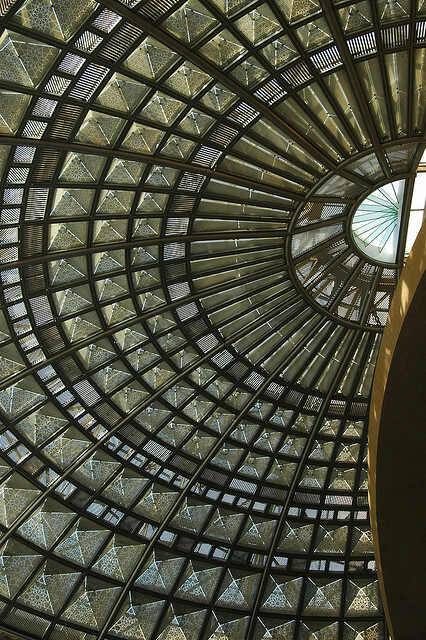 The glass ceiling of the east portal of Union Station. Photo by Angel Hernandez, via Flickr. Click above to view the photo at Flickr. Angel Hernandez borrowed a friend’s Nikon D70 recently to check out the digital camera and took this shot of the glass ceiling of the Nick Patsaouras Transit Plaza at Union Station while on the escalator and headed toward his train. Good eye, Angel! The shutter speed was 1/160th of a second with a focal length of 28mm and an aperture of f/6.3. Want to submit a transit or transportation-related photo? Consider joining Metro’s (slowing growing) Flickr group or email them to us at sourcemetro@gmail.com. We’re hoping to share a striking transit or transportation image everyday and would love to feature some of our readers’ work. Thumbs up or down to Crenshaw station on Westside Subway Extension? I Love Transit Week poll #2: What’s your favorite Metro Rail line?